A Consultant led Epilepsy clinic is held on alternate Tuesday afternoons from 14.00 – 17.00. An Epilepsy Clinical Nurse specialist - New diagnosis and Education clinic takes place every Wednesday afternoon from 14.00 – 17.00. A rapid access seizure clinic is held on alternate Friday afternoons from 14.00 – 17.00. 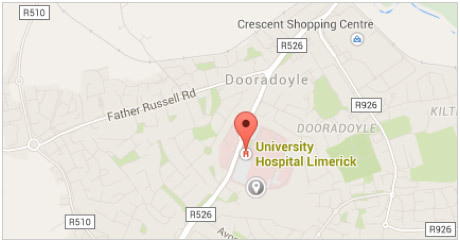 University Hospital limerick is situated on Saint Nessan's Road, Dooradoyle, Co. Limerick. All clinics are located in Outpatient Department (1). This is located on the ground floor of the hospital. There is a café and shop located at the main entrance to the hospital. There is another café and sandwich bar located near the Outpatient’s Department. Canteen facilities are available 9.00 – 16.00. The canteen is currently located near the Outpatients Department. There are currently 2 public car parks in the hospital. One is located in the front of the hospital to the left of the main entrance. The second car park is located to the right side of the hospital. At the main entrance veer right and follow the signs for Car Park 3. Yes, detailed referral documents from the consultant and the multidisciplinary team are sent from the paediatric hospital to the adult hospital. This is very individual depending on each individual’s care needs. If your epilepsy is stable, then you are usually reviewed on an annual basis. However, If you encounter difficulties between appointments you can contact the epilepsy telephone advice line on 061 482146 and speak with the epilepsy specialist nurse. If an urgent review is necessary an appointment can be arranged in the rapid access seizure clinic. 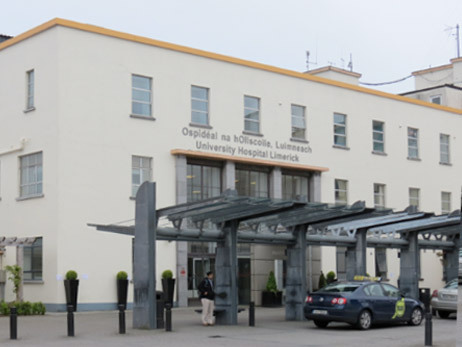 In University Hospital Limerick we have a small team consisting of the Consultant Neurologist, Neurology Registrar and one Clinical Nurse Specialist in Epilepsy. During review appointments patients are seen by either the Neurologist or Epilepsy nurse or both if necessary. This can very dependant on individual need. All patients are provided with an allocated appointment time. Usually the outpatient clinic visit will last no longer than 90 minutes.